However, the most pervasive and devastating cause for all of these issues is the unequal distribution of wealth. It is well researched and recorded that the wealth disparity, income gap between whites and blacks is 40% greater today than in 1967, with the average black household’s net worth at $6,314 and the average white household’s at $110,500 (New York Times, “When Whites Just Don’t Get It,” by Nicholas Kistof). When we account for how such economic disparity impacts educational opportunities or criminal behavior in the black community, we are better able to identify the overall pernicious problem. The Brookings Institute reported last July that: “As poverty increased and spread during the 2000s, the number of distressed neighborhoods in the United States—defined as census tracts with poverty rates of 40% or more—climbed by nearly three-quarters.” The report continued: “The population living in such neighborhoods grew by similar margins (76%, or 5 million people) to reach 11.6 million by 2008-2012.” (New York Times, “Crime and Punishment,” by Charles M. Blow). Support the Manifestation of the Dreamers Act—Stop Deportations and the Splitting of Families. Secondly, politically, we need to consider how best to ensure these issues become a major factor in the national debate, possibly imposing them into the national election of 2016. In this way, inspiring and encouraging a mass and popular youth movement organized during the election year of 2016, we empower the youth to be future focused. It is well established that it was the youth who were instrumental in getting Obama elected as President. Despite our collective disappointment with his presidency, the lesson learned is the power of the youth when united and determined to accomplish a task. Again, recognizing that in seven years the electoral demographics will be drastically changed, it is time to prepare for that eventuality, even if some do not believe in the electoral process. Therefore, during the election year of 2016, not a single candidate will be permitted to conduct a public forum without being challenged by these issues. These would be acts of participatory democracy and direct-action engagement. Obviously, to hold a national rally and march in Washington, D.C. during the July 4, 2016 weekend tells the entire country that young people will divorce themselves from the status quo, becoming independent of the Republican/Democratic party politics. 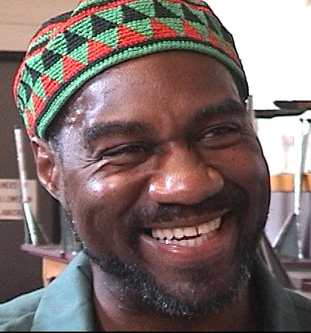 Jalil Muntaqim is a former member of the Black Panther Party and the Black Liberation Army. He is a political prisoner currently locked up in Attica Correctional Facility. He was one of many activists targeted by the FBI’s COINTELPRO (Counter-Intelligence Program) during the 1960s-70s which led to his current incarceration. He is the author of We Are Our Own Liberators: Selected Prison Writings.